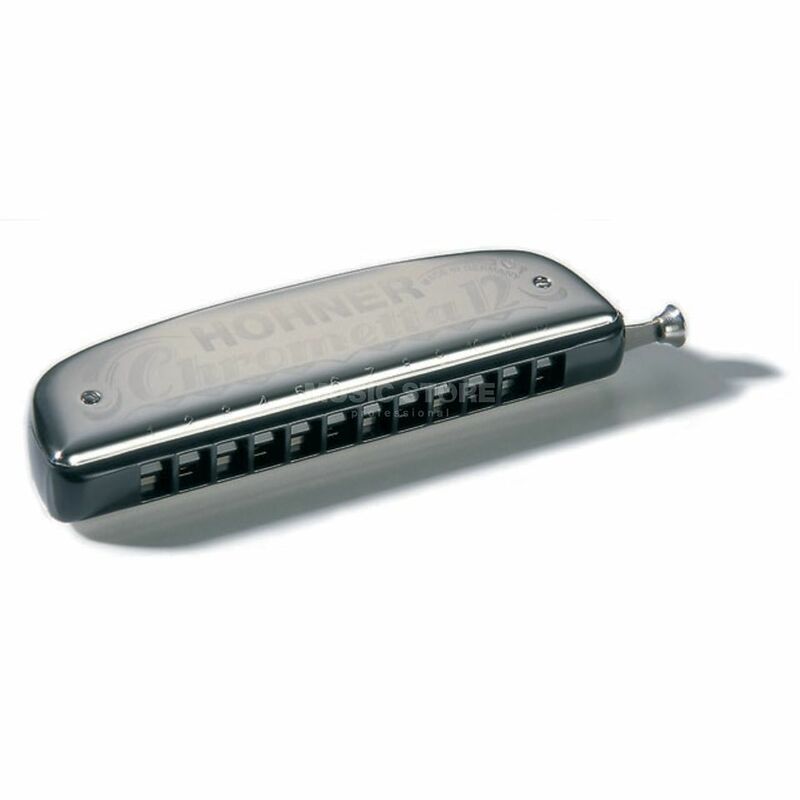 The Hohner Chrometta 12C 48-Tone Harmonica is a competitively priced chromatic harmonica featuring 40 tones. This 12-hole harmonica is a great introduction to the art of chromatic playing. Its user friendly design includes an enclosed mouthpiece and slide mechanism which allows you to blow straight at the reed plates, creating a tone that is clear and consistent with strong projection. The enclosed cover design insures a rich, full resonance. Three complete octaves from C4 up to C7 provide a note range to play most classical works. The chromatic harmonica was invented by HOHNER more than 100 years ago. As the name suggests, it contains all natural notes plus all sharps and flats, thus enabling chromatic melodies. Basically the chromatic harmonica consists of two harmonicas, one in C and one in C#, separated from one another by the slide, which is operated by the button at the side. When the slide is not used, the instrument is in C major and only the white notes on the piano keyboard are available. Pressing the slide button brings the 2nd harmonica into play and every note is raised in pitch by one semitone, giving a C# major scale, which contains all notes found on the black keys of the piano as well as a couple of duplications. It‘s thus possible to play in all keys on one instrument. The chromatic harmonica is used mainly in jazz and classical music, but can also be heard in pop, rock and folk as well as in the blues. It was popularized by artists such as Larry Adler, Toots Thielemans and Stevie Wonder, all of whom play or played HOHNER instruments throughout their careers.